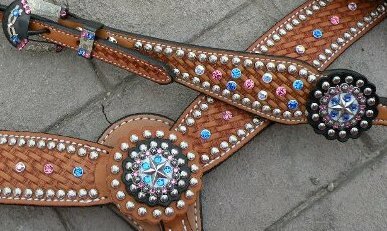 Superior quality American Wickett and Craig leather with beautiful finished edges. purple velvet, amethyst and a.b. of qenuine Swarovski crystal bling! 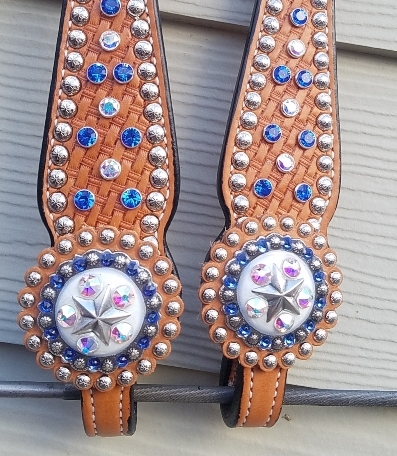 Great for barrel racing tack, and rodeo queens!